Whether a loved one needs additional support or whether family members have currently been providing this support but are no longer able to do so, one option to consider is in-home care services for the elderly. 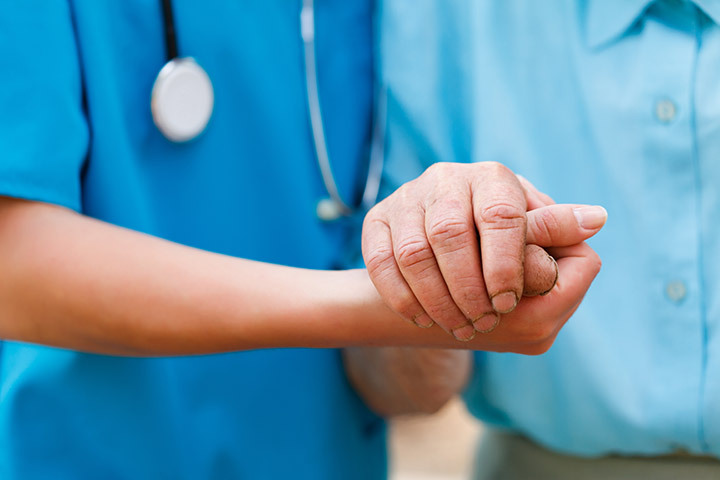 One of the biggest benefits of in-home care is that it allows an elderly person to remain in their home rather than being transferred to another facility or they would need to interact with other individuals. These more social aspects are part of an assisted living facility or a nursing home but there are many elderly individuals who need assistance while still wanting to remain independent. This is when in-home care services for the elderly is a viable option. In-home care provides elderly individuals with non-medical care, companionship, and other services. This allows the elderly person to keep their house as well as their independence because an in-home care professional comes to the patient. The demand for in-home care services for the elderly in the United States will only continue to increase as more than 8,000 baby boomers are retiring every single day. This has serious benefits for everyone involved. Today, in-home care is commonly provided to elderly individuals who are struggling to function on a day-to-day basis.. This can be seen by the rise in a number of in-home care agencies across all states and local areas. This is because there is a demand for these services, particularly as more baby boomers need additional support. Along with the demand tied to more people getting older, today’s seniors want to maintain more independence than seniors in the past. Many of them may live twenty or thirty years beyond their retirement date and have likely adapted to their own routines in their own household. When in-depth medical care is not needed by an elderly person, but where that person also cannot live entirely on their own, in-home care helps to fill the gap and give an elderly individual the support that he or she requires. This often reduces the burden that falls on family members, too. Many seniors want to stay in their own home as long as possible. As longevity in the U.S. has increased, many seniors continue to live active lives for years beyond their retirement. Although this is true for many, there are situations where a loved one needs additional support but does not require the around the clock care or other similar care types provided by a nursing home. This is when in-home care may be a more appropriate option. A person’s home provides a sense of familiarity and comfort that may not be available in other locations. It is often preferable from the perspective of the impacted patient and that patient’s family members to keep necessary services within the home. This means that family members do not have to worry about whether or not the loved one is living each day without struggle or foregoing basic needs. When an individual moves out to a nursing home or an assisted living community, this can feel too much like a big change, especially if the elderly person has to suddenly start living with a roommate. Even when the conditions of the nursing home or assisted living facility are of a high standard, the emotional aspects of coping with a new lifestyle can make things more difficult than necessary for a patient. While receiving in-home care, however, an individual may stay as independent as he or she is able to be. Many individuals who have participated in studies regarding in-home care have fewer trips to the doctor than their counterparts who did not receive in-home care. Bear in mind that not all in-home care services are the same. The reality is that a broad range of people need and choose in-home care. The one-on-one non-medical care provided by an in-home caregiver may be an essential component of the relationship, but families also benefit significantly from knowing that someone else is checking in with their loved one on a regular basis. Worrying about whether or not an elderly family member is struggling to get through each day can be overwhelming for anyone, but hiring an in-home caregiver helps to alleviate that concern. While family members stepping in on a temporary basis may be willing to do this for some time but ultimately find it overwhelming, it is often the elderly person who does not want to be a burden to their family as well. This is why in-home care makes so much sense as it helps to address the basic needs and remove tension and pressure from the family. Most families are concerned with the cost of bringing in someone to help a loved one when an issue emerges. Usually, this means that one or more family members will take over the bulk of caregiving responsibilities. Over time, however, it can be challenging for a family member to continue this schedule. It is important to consider how the costs of in-home care compare with that of an assisted living facility or a nursing home. While the cost of assisted living or a nursing home can be quite high and involve the loved one having to relocate, in-home care does not require this. The right in-home care company can encourage peace of mind for everyone since the care is provided right in the patient’s home. This does not require any extra travel. For family members living close by, they still maintain the option to come visit the loved one or provide supplemental care, but those same family members also see the benefits of in-home care, too. A patient may reap numerous benefits for having in-home care services for the elderly as opposed to being moved to an assisted living facility or a nursing home. One of the biggest benefits is that the patient receives personalized attention. The caregiver that arrives at the door of a loved one has one primary purpose, which is to ensure that that patient receives 100% of his or her focus regarding quality care. Another major aspect of in-home care is family participation and support. Keeping everyone involved in the care process and working with a network of experienced in-home care professionals gives family members the peace of mind that their loved one is being taken care of and receiving the services that he or she needs. Many family members may struggle with the decision to initiate in-home care because they want to be able to provide that care to an elderly family member themselves. However, the additional demands of being a full-time or even part-time caregiver to a loved one can be overwhelming if someone else already has responsibilities in their own life. This is why in-home care services for the elderly makes the most sense for many individuals for whom their loved one needs assistance. Keeping the comforts of home and providing additional independence and confidence are crucial for an elderly loved one. Having to uproot their life and move to an entirely new facility in a strange situation, potentially with a roommate can be overwhelming for patients, particularly for those who are suffering from minor impacts of Alzheimer’s disease. Individuals in this situation may be able to accomplish some of their activities of daily living on their own but may struggle with other aspects. With in-home care services for the elderly, the caregiver provides the level of care necessary within the in-home care spectrum so that the loved one feels supported with necessary tasks but still maintains independence to do others. While it is never an easy decision to elect in-home care, it may be a better alternative than nursing home care or assisted living facility care. In order to make this decision, it is imperative to understand the severity of a loved one’s difficulties. This allows the important distinction between whether or not a loved one needs assistance in the form of an assisted living facility or a nursing home as compared with in-home care services for the elderly. In-home care frequently makes the most sense for an individual who needs some support and could benefit from an additional companion helping him or her throughout the day. In addition to supporting a loved one, family members get the peace of mind and confidence in knowing that their loved one has someone to reach out to and speak to on a regular basis.